To review anything by Bob Proctor is a challenge and an honor at the same time. Bob has transformed so many million lives through various channels for more than 50 years, according to himself there are no one in the business with more years of experience in PD than himself. And I believe it. He and his team has given a lot of people the oportunity to change and improve their life, however as Napoleon Hill put it, education is a persons ability to make the best of the information given to him or her. Many people confuse education with what the teacher is telling someone, however teaching is worthless if the receiver do not expand and work with it. I may be mentioning Bob Proctor mostly, but make no mistake regarding the fact that Proctor Gallagher Institute is the actual provider of the courses, Bob Proctor and Sandy Gallagher joined forces a few years back and Bob’s experience in personal development and Sandys experience in scaling, running and making a successfull business has fuelled both of them, and the PGI team as well. Living by example, another known quote is “no one has done anything of any consequence by themselves, we all need help”. So, do you know someone – perhaps yourself, friend of family that feels stuck in life or would benefit from improving? Maybe earning more money, improving a relationship, adding self confidence and value in order to fulfill their life in a richer way…. Then this may just be the turningpoint. The six minutes to success program is a life changing experience and it will only set you back $1 for a two week trial, most people continue with the Premium membership however there are cheaper options available. What it gives you in return is the chance of a completely different life and the beginning of a fresh start in many ways. Bob Proctor started out as a boat without a rudder and at the age of 26 his first mentor appears in his life, understanding the potential in the boy he had a pretty clear message to Mr. Proctor. “if you do exactly as I tell you, you can have anything you want in life”. This has been one of the red lines in the rest of his life, he will be very happy to show you how to get the best life ever possible, and he will do it with pride. The book that got him startet, Think And Grow Rich has played a major part in the progress and establishing PGI. 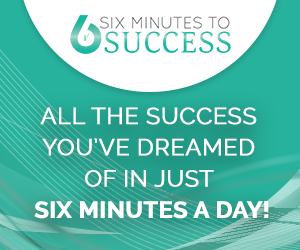 Following the Six Minutes to Success will over time be a coaching partner that changes Your view on the life you are living, every day a new Six Minute event will be given to you and may bring you closer to a life that you may not even you could live. Having a mentor and a partner to add value to your life on a steady pace is valuable beyond the money paid for it. Once I started listening to Bob Proctor and what he had to say really changed my perception on everything, there is a huge difference in having someone (usually parents or wife) suggesting a career versus discovering it for yourself. The day you tell yourself what you really are ready to do and start to imagine that there are more solutions to it than problems, that will be the day to change every angle of life. And Bob Proctor (and the Proctor Gallagher Institute along with him) will be able to keep this coming for you, but you have to do it exactly as they tell you, and you have to commit to improving your life. One of the benefits regarding to the online service business is that it usually comes with a free or cheap trial, if we turn back the clock a few years and before “everything” was available online it would be no regret if a program did not fit or work out. This is luckily a thing of the past. Getting startet for $1 will make it worth for you to create your own opinion on the program. Daily Video: EVERY day through the year a new video that works as the key for the chainlock in your life. Money, Health, Relationships and much more is covered. Audio files: The Audio from the daily video available as a MP3 Audio in order to make it available without a screen available. Transcripts: Everything Bob is teaching will be handed to you in written form so it is easier to make notes and personal remarks if preferred. 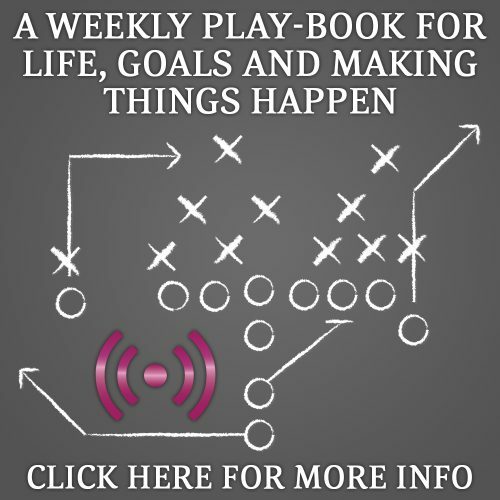 Monthly Q&A webinar with Bob Proctor in case you need his answer to your personal question. This is only a Premium Member offer.